If you use Terminal quite a bit, there’s two services that you should enable. They will make it simple to open Terminal (or a Terminal Tab) at a specific folder instead of having to type out the path in Terminal itself. 3. In the Hardware section, select Keyboard. 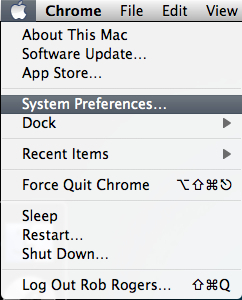 If you customized your System Preferences and Keyboard is hidden, go to the menu bar and click View. You can select Keyboard from the list. 4. Select the Keyboard Shortcuts tab. 5. In the left pane, select Services. In the right-pane, scroll down to Files and Folders. Check the New Terminal at Folder and New Terminal Tab at Folder checkboxes. The next time you need to open a Terminal or Terminal Tab at a folder, simply browse to the folder. 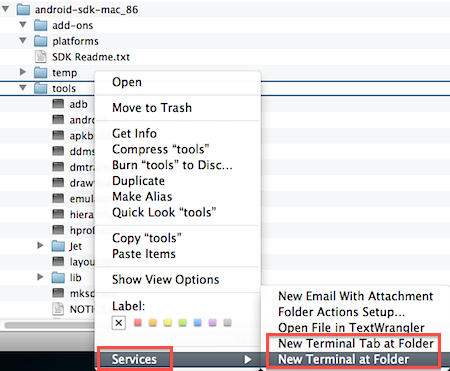 Right-click the folder, mouseover Services and select either New Terminal at Folder or New Terminal Tab at Folder. Terminal will open at the desired location.